Say hello to our little friend! Well, not so little for the 2019 Nissan Altima enters the midsize sedan segment. See the inside look and all the details you need to know why you should buy the all-new 2019 Nissan Altima at the best Nissan dealership in Jacksonville, Florida! The Perfect SUV Is Here: Introducing the 2019 Nissan Murano! The perfect SUV is calling your name and our team at Coggin Nissan at the Avenues wants to introduce you to the all-new Nissan Murano! For over ten years now, the Murano has been a staple SUV in the market and it continues to carve out a space as a beloved vehicle. This year, we want to introduce you to the all new Murano which is sure to be a game changer. See What Nissan Vehicle Is Just The Right One For You! Not everyone is satisfied with sedan or SUV, and Nissan gets that. Stop by Coggin Nissan at the Avenues and test drive a vehicle that is larger than you; The 2018 Nissan Titan! We Sell Cars For Less Than $10,000! Searching for a newer car? Well the time is now with us here at Coggin Nissan at the Avenues! With our wide range selection of vehicles Used & CPO, you are sure to find the vehicle you are looking for. Even on a budget, we have you covered! Right now, Coggin Nissan at the Avenues has pre-owned vehicles on our lot under $10K! The 2018 Nissan Altima Brings Comfort, Options and Affordability! Welcome the all-new 2018 Nissan Kicks to the Nissan family and vehicle lineup! Looking for a newer vehicle but new just isn't for you? Look no more, for Nissan wants you to Buy Smart and Own Confidence with CPO. Don't Waste Too Much Time Getting Gas! 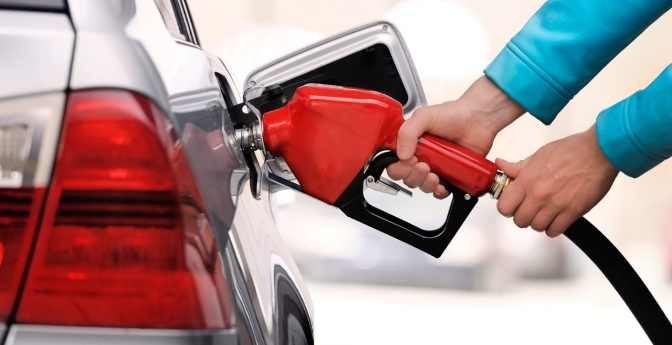 Here are six ways to get more out of your gas mileage.